Welcome back by today, friends. 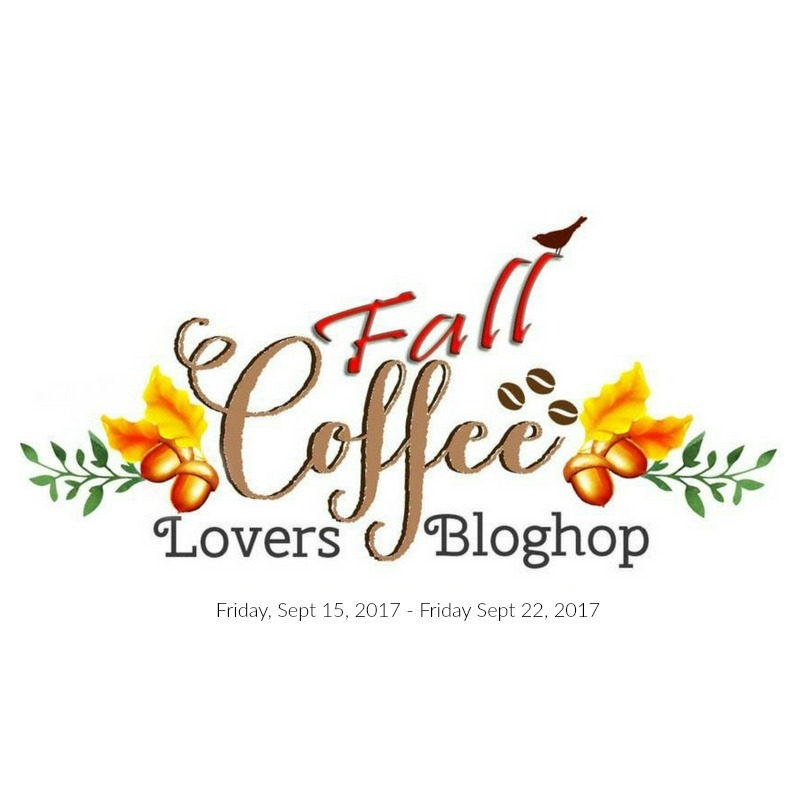 I hope you're enjoying the Blog Hop. 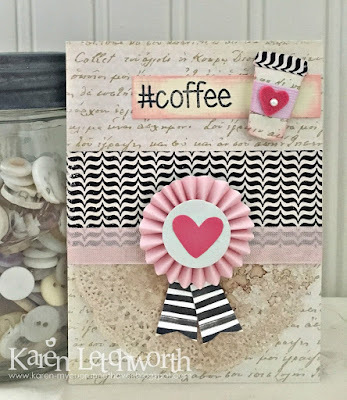 I'm sharing another card that I made using the #coffee sentiment from the Tackle Life One Cup at a Time Stamp Set from Paper Sweeties and the Coffee To Go - Tidbits die-cut from Taylored Expressions. I also used a tea-stained doily, pink seam binding, and a Crate Paper 3-D medallion. The patterned paper is from Echo Park (For the Record 2 collection), and I also used some pink Bazzill for the coffee mug sleeve. The Pink Sherbert wool felt is from Taylored Expressions, and is cut using a heart die-cut from Papertrey Ink. I placed a tiny pearl accent sticker on the wool felt heart. I also inked the edges of the coffee cup and sentiment strip with Tim Holtz Spun Sugar Distress Ink, and stamped the sentiment with Tim Holtz Black Soot Distress Ink from CropStop. This is such a fantastic card! 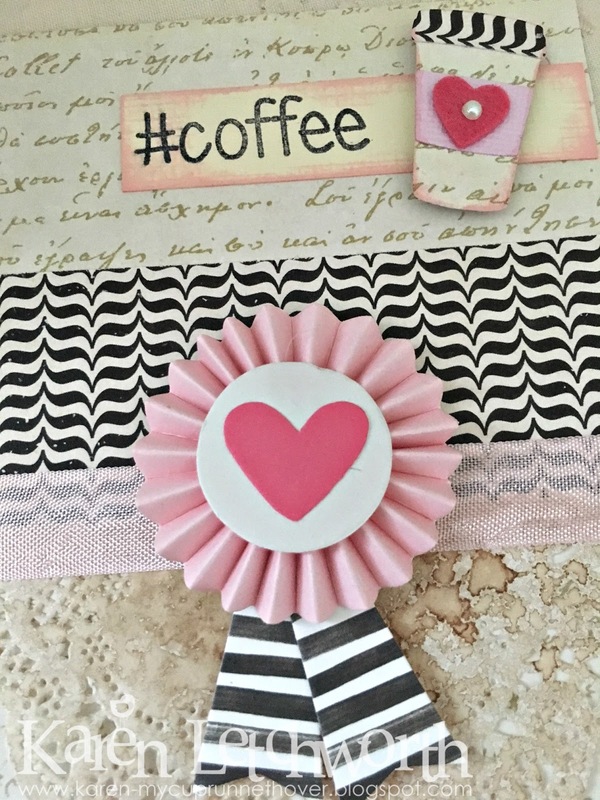 I love the pink and black combo, The hashtag and heart add the sweet! I really like this card a lot - nice layout! Oh I ADORE this one with the pops of pink! 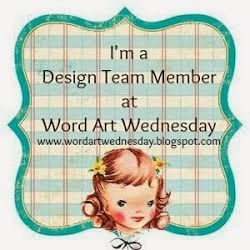 Your card is so cute, love the colors, and the rosette! Karen, this is soooooooooo sweet and pretty! 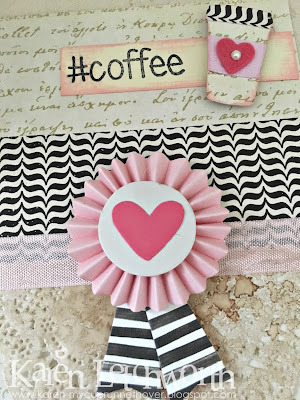 I love the pink rosette and the darling little pink heart on the coffee cup. Really nice card! I love a scripty background! This is really pretty. Wow! I love all the elements and textures on this card and how you put it together. The soft pink colours are awesome too. Love that gorgeous black and pink color combination! Very pretty card! 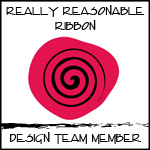 Love your card with the rosette. Coffee prize! Such a sweet card. I love the pink color you used. 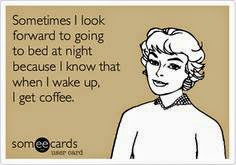 Great take on coffee challenge. Great card, I love pink and black together. 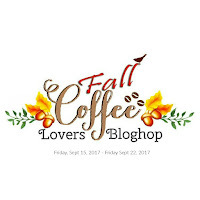 Love your blog, following you now! Now who doesn't love pink and black and coffee???? I love this card and the design. Wonderful creative and inspirational. Hugs. Love this color scheme and love that sweet little to go cup! I think I need that one... looks like a handy size! Never too many! Thanks for the inspiration! Great colors and a neat layout. You really do fabulous cards. So fun, love the pops of pink. Stunning card. Love the felt and the rosette! Amazing card with beautiful colors, so delicate and impressive! Love the detail of the 3D medallion! 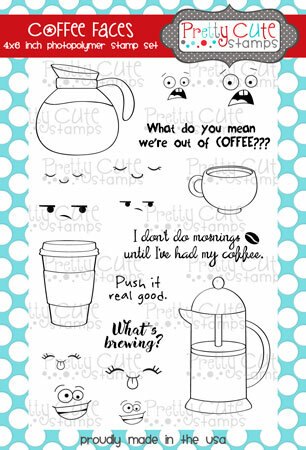 Love the dimension and cute coffee cup! Great colors too! Already a follower here! oh my! love that bit of pink! So pretty! 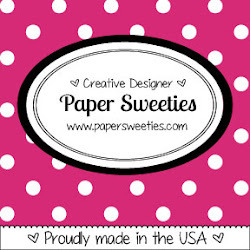 I love the pink mixed with the black and white paper! 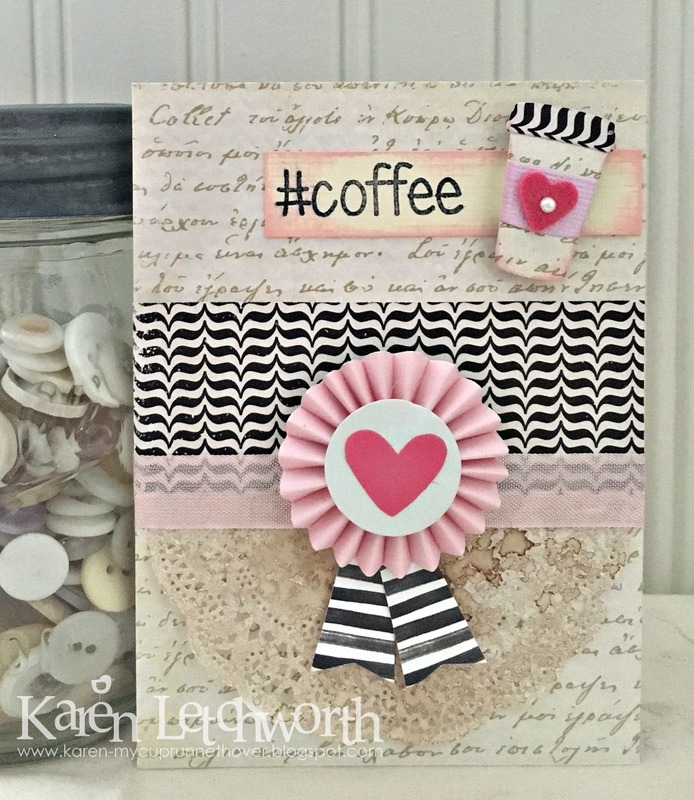 The tea stained doily is a great touch, along with that sweet coffee cup with the felt heart and I love the rosette with the heart right in the center of your card! This pretty pink card is such a sweet surprise. 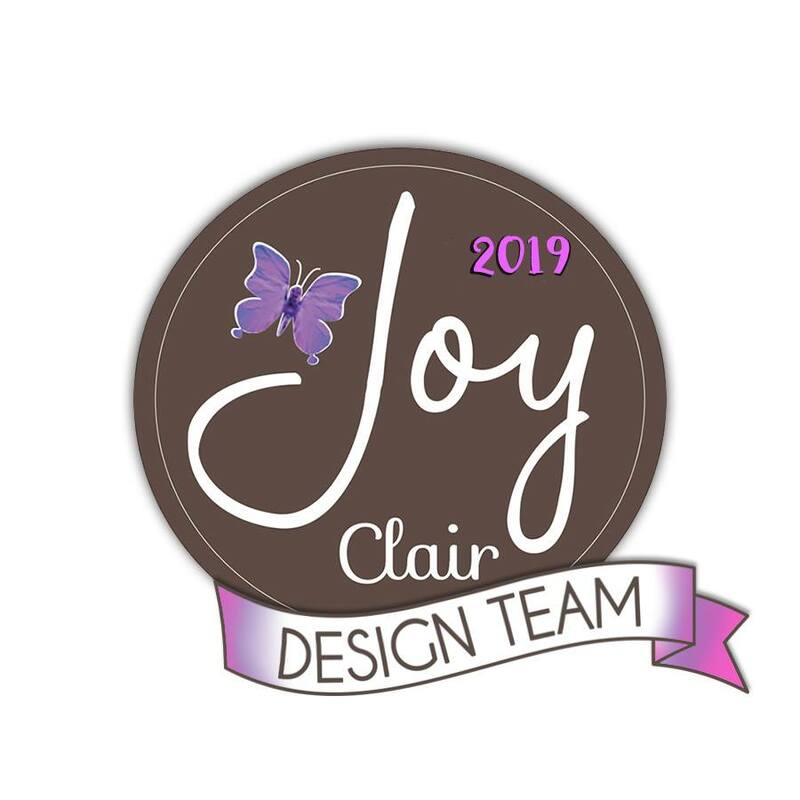 I love the rosette and little hearts! So sweet. I like the hearts and the rosette.